We started the week with a wonderful assembly featuring our guest author Nahida Esmail and Book Week continued with great activities all week. I cannot express strongly enough how impressed I was with the book doors, and how happy I was not to be the one to have to judge them. These doors will be hard to top next year. I would like to thank all the parents and staff that were involved in putting the week together. You could see how much the kids enjoyed it and we can never fault enjoyment when it comes to reading. As the week wraps up, we switch from the cerebral to the physical. As I write this there are visiting teams playing football and basketball on campus, we have two different swim teams off to Usa River and Dar. 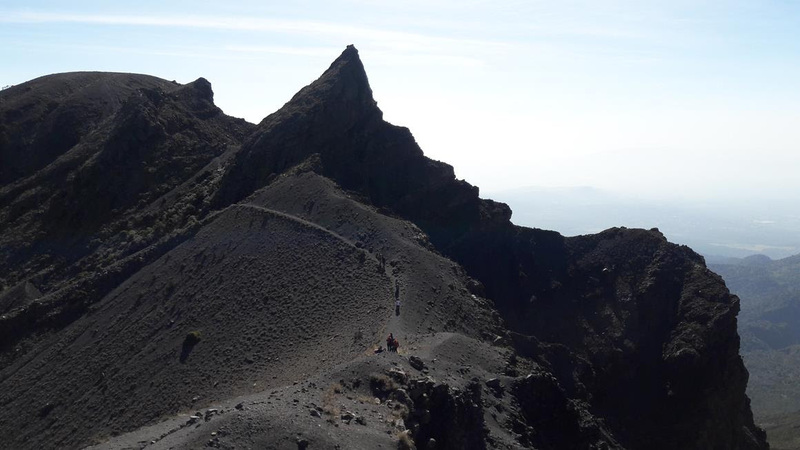 Another Outdoor Pursuits trip also left this morning to hike the Pare Mountains. I would very much like to thank everyone that came Friday and donated blood. This is a regular event here and it is important to the community that we keep it going. As I look forward to this week, please note that on Tuesday we have the Coffee Morning at 7:45am and the MYP Personal Project Presentations starting at 10:35am. On Wednesday we have the Sports Celebration at 5pm. Luckily, we have no classes on Friday so there is the chance to relax. Tickets are going fast, please do not get left out if you want to come. Please join us Tuesday Febrary 21st at 7:45am in the Social Center. Winners and special mentions were selected by Nahida Esmail, and then checked for sustainability as this was one of the success criteria. The Great Kapok Tree and Wizard of Oz both had excellent use of natural materials. The Great Kapok Tree only used natural materials and reusable objects, while Wizard of Oz combined natural materials with paper and card. Where the Wild Things Are – a very eye-catching and attractive door! Bird Box and Oulala for use of repurposed materials. Primary Winner: Harry Potter with a Chance of Meatballs – a highly creative door which repurposed many materials: old newspapers for the paper maché to form faces of the characters, banana leaves for umbrella and flames, scrap paper to make the fruits and vegetables and scraps of fabric. 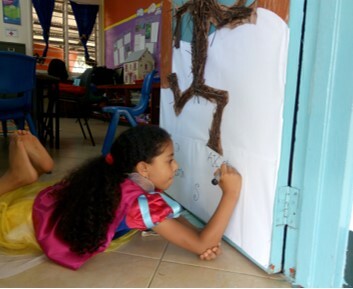 Secondary Winner: Of Lions and Unicorns 2 – an eye-catching door which looks very much like the book’s cover. Students used old plastic bottles as part of the sea, reminding us all about the amount of plastic that is building up in our oceans. NB the criteria for looking like the book cover applied for Secondary only. Guess the book title from the emojis: Tanpreet, Hritik, Safiya, Sayyada, Srija. 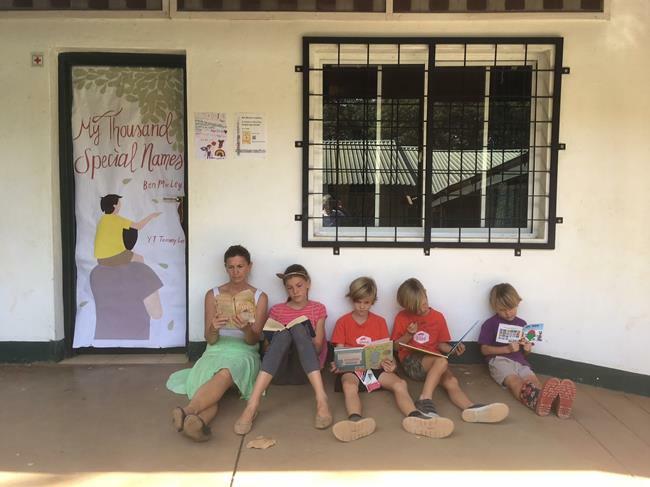 Every year, schools across the globe celebrate “Book Week,” a time dedicated to books, authors and illustrators, with the hope of inspiring a love of reading and, perhaps, encouraging budding writers. 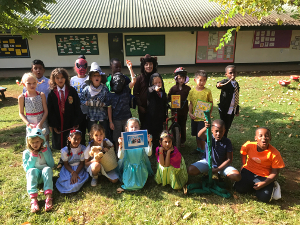 Across the community, we have enjoyed numerous events and activities over the last five days, connecting readers with a huge variety of books and recognising the joy of reading. 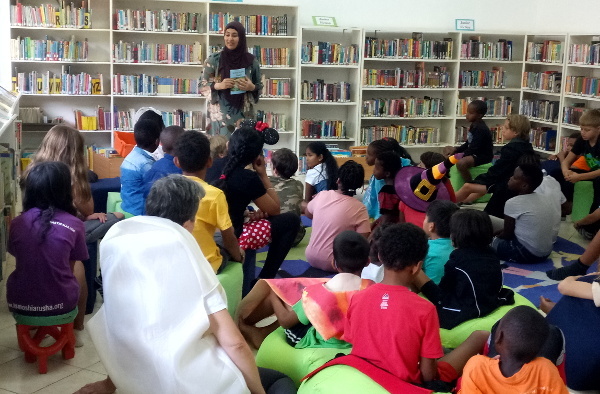 Tanzanian author, Nahida Esmail, provided an inspiring start to the week, addressing the whole school before working with smaller groups of students across the age ranges. She shared stories of her inspirations as well as her hopes and fears as a writer. Nahida believes that “African women need to tell African women stories, we need to speak for ourselves rather than be spoken for. We need stories that inspire women to be game changers and heroes of themselves.” It was fascinating to have the opportunity to hear how she is making a difference book by book. Elsewhere, we enjoyed a book character parade, countless competitions (including who could make the most original and creative book cover on their door whilst being mindful of reusing or repurposing materials), invitations to #getcaughtreading in the most imaginative and unique spots, second hand book sales, the Kilimanjaro Book Awards, buddy reading across the grades and a large number of “Mystery Readers” dropping in to share favourite stories. All in all, it was an unmitigated success. Heartfelt thanks, as always, to everyone who had a hand in organising the week. In a world where a reported 800 million people cannot read or write and where many families (and schools!) have no books for anyone to read, it was a privilege to be immersed in a world of books, if only for a few days. As the saying goes, today a reader, tomorrow a leader. The PP exhibition will be this coming Tuesday February 12 as from 10:35am to 2:30pm. Some of the projects include programming and assembling a drone, written and published books, sculptures, paintings and even improvised heat pumps. All members of the community are cordially invited to join M5 class in their celebration. The M5 students will take Mock Examinations from February 20 to 22, 2019. The schedule and details have already been sent to students and parents. Students will do on-screen examinations in English Language and Literature, Integrated Humanities, Integrated Science, both Extended and Standard Mathematics and interdisciplinary examination. They will also take paper-based Kiswahili Language and Literature exam. These communities have responded to their everyday needs using resources that are around them. We are grateful to professional members of our community who have so far responded to our appeal to share their career experiences during our forth coming career day. The response has been very encouraging. In case you need to participate, don’t hesitate to contact us. As reported a couple of weeks ago the M4 students have raised enough money from their bake sales to buy a swing set for Kili Orphanage and this has now been installed to the great delight of the children there. We would now like to raise more money so we can install more playground equipment for them. Thank you to everyone who purchased from our bake sale and congratulations to the M4 students for their commitment to this project. On Friday 8th February, a number of boarders donated blood, in line with the IB Learner Profile attribute related to being caring. The drive was organized by KCMC staff. The boarders were engaged in various other activities over the weekend. These included games like dodgeball netball and basketball. Some were involved in a sports tournament that took place on campus on Saturday morning. Different age groups watched movies in their dorms, and there is a bonfire on Saturday, as well as baking in MYP boys’ dorm on Sunday afternoon. A reminder that next weekend we shall have a long weekend, and we shall have no classes on Friday the 15th of February. Some boarders may choose to come home for the long weekend. Kindly let the boarding team know by Wednesday next week if your child will travel home for the weekend. The boarding will run as usual for those boarders who will opt to remain in school. Different activities/trips will be organized for those who will not travel home. Our U15 boys soccer and U19 boys and girls basketball teams are competing in the third and final round of their NTAA tournament at home International School Moshi on Saturday and depending on the results from the weekend we could possibly have 2 teams crowned NTAA champs so make sure you come down and support our students. The U15 girls have played all their matches and so now have the weekend off. They are currently sitting 1st on the table and as mentioned above, if results go their way they could be crowned NTAA champions on Saturday. On Wednesday, February the 13th we would like to invite all our athletes and parents in both Primary and Secondary to a celebration of their efforts during the first half of the year. 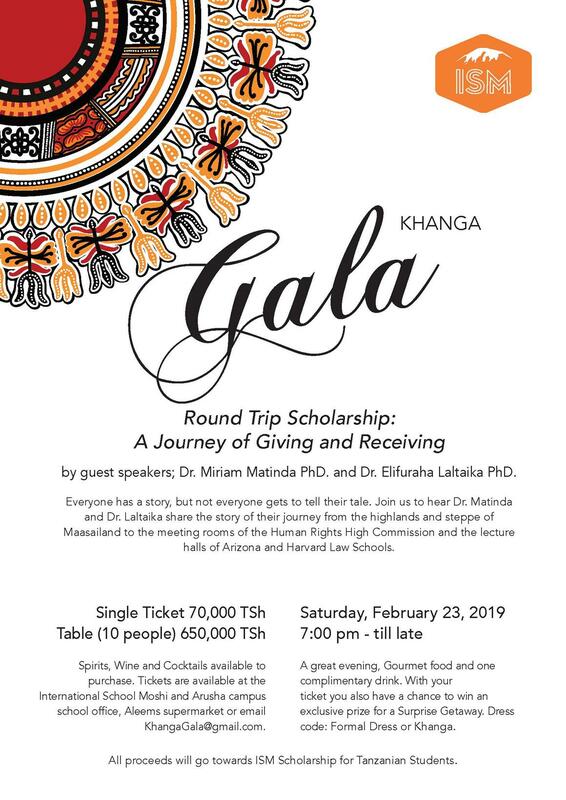 The event will start at 5pm and conclude at 6pm in Rafiki hall. Light refreshments will be provided. 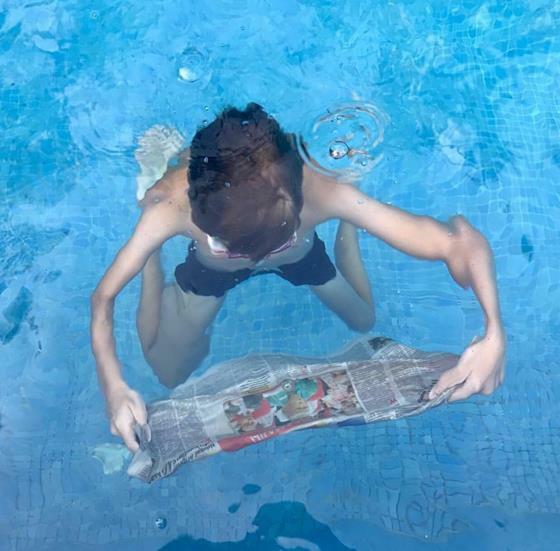 After weeks of learning and refining the MYP students will be show casing their swim prowess in the Secondary swim gala on Tuesday the 5th of March 7.45am to 10.15am. The Primary will have their showcase of swim skills the week before on Wednesday the 27th of February 10.35am to 1pm. Parents are invited to support their children and see what they have been learning in lessons. Saturday 7.15am Campus run with Ms Jaime/Marieke. This weekend is a very busy one! 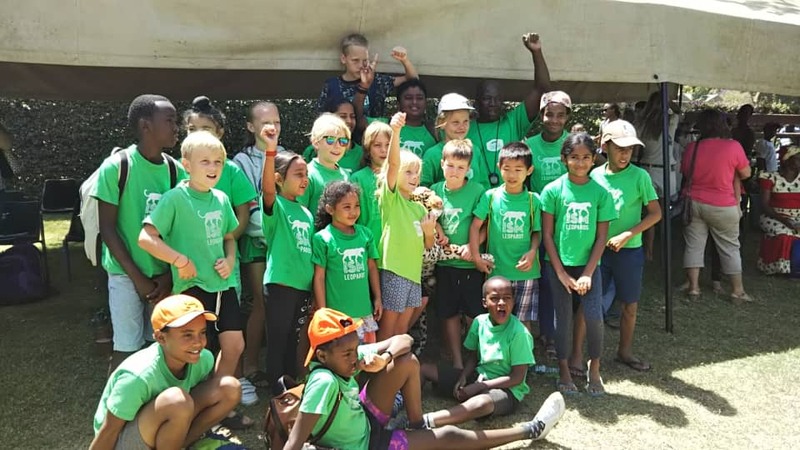 A group of 24 swimmers from ISM Leopards and the ISMAC Campus have united to form the ISM Team which is participating at the TALISS Swimming Gala held in Dar this weekend. Their times are important as they qualify for National Team selection. On Saturday, another team of swimmers from ISM participated in a gala at Kennedy House School. Coach Sabini & Coach Debbie wish all the swimmers the very best of luck!! Go Leopards!! My appreciation goes out to the whole ISM community for making Book Week a huge success. When I started drafting the news I had no idea who the winners of the door decorating competition were going to be but as I write the news I am bubbling with joy because I now know that my students, the P4 class, were the winners in the Primary and yes, we are having cake on Monday 🙂 Congratulations to Noreen, Khari and Otis for winning in other various Book Week competitions and to all the parents and students who came in to read in various classes. Thank you to Ms Naheeda Esmail and Mr Ben Morley for the lovely presentations they gave as our authors. We have limited copies of Mr Ben’s books “The Silence Seeker” and A Thousand Special Names.” You can purchase them from him. Most important of all I would like to thank Ms Laura Webb for organising this big event and taking care of every detail to the last bit. This weekend our swimmers are off to the Taliss Swim meet happening in Dar and a number of students are participating in various tournaments in Kennedy House, Arusha. On Monday, we will be having our Hula Hoop Inter house challenge. All Primary children should come dressed in their house t-shirts and appropriate sports gear. Book week was a huge success and a reminder to everyone of the power and possibilities of reading and sharing. 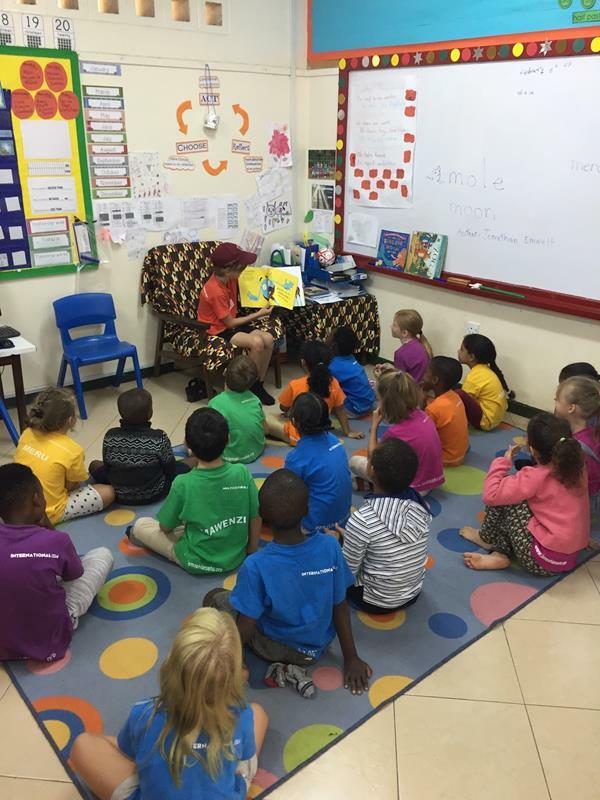 The EC class were visited by a multitude of students of all ages and of course parents. Each time they heard ‘We have a Visitor!’, the children dropped whatever they were doing and ran to the carpet. 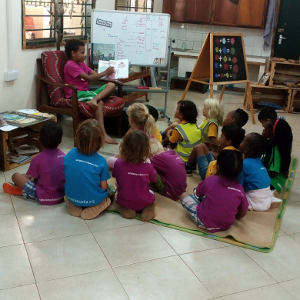 Some days it felt that all we did was read, and it’s a testament to the children’s enjoyment and engagement that they were able to sit and concentrate to such a sustained level. We used the story ‘Owl Babies’ to begin to think about the differences between daytime and nightime animals, producing fantastic owls with real feathers and… you guessed it… banana leaf. Please wear your house T’shirt on Monday as we have a house ‘hula hoop’ competition at 7.35AM. ‘You know you’ve read a good book when you turn the last page and feel a little as if you have lost a friend’, Paul Sweeny. That is how I feel at the end of book week. We have gone on adventures while still in our classroom. We have cleaned windows with giraffes, walked through woods with Zog and the Gruffalo, read a book without pictures, sang songs with an Australian backpacker and caught strange creatures while sky fishing. Next week, we will be starting our tour around school to find out more of what makes us such a great community. We will be seeing new places and meeting new people but most importantly, we will be thinking of ways to impact our community in a meaningful way. In our math sessions, we will be continuing with our work on number and carrying out investigations on symmetry. Book awards, door decorations, authors, dressing up and mystery readers. I think that sums up book week (we’re still banging on every door saying we have to win). My first Book Week at ISM has been a true realization. I cannot recall what we did back in the day, I do remember there was lots of DEAR time involved. My hope is that the students remember way more than DEAR time in celebration for Book Week. I hope they remember authors, pirate stories and treasure maps, and walk away feeling inspired to read and write. We started off this week discussing what feeling inspired looks and feels like. I know many students have now started talking about just writing because they love to write. That to me says that Book Week has been a success (a certain student may have said they’d have a better smash hit than their Dad, ahem). Oh…and we worked on our unit. But more on expression next week. For now, let’s continue feeling inspired, and continue losing ourselves in books. 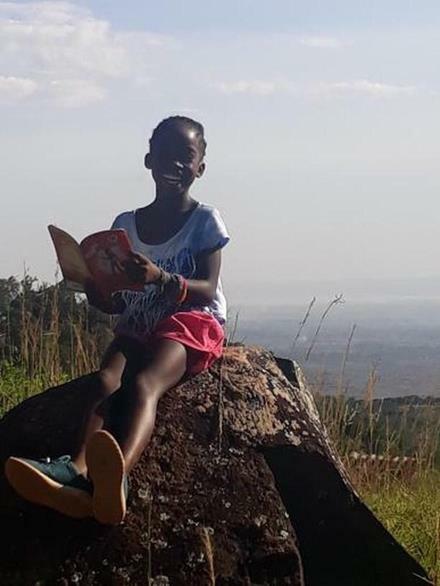 Asante to all our mystery readers. We appreciate you, and because the kids loved having you, bookings are available on Fridays if you email ahead of time! 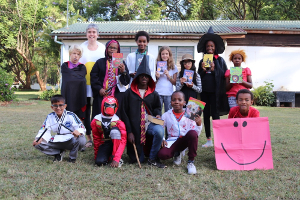 It was such a powerful week where the students got inspired by so many different people connected to books and literature, were stimulated by so many different stories and thoroughly enjoyed the different games and activities that were organised in the library. I particularly enjoyed hearing from the parents, they all had such lovely and varied ways of storytelling. We even had a dad sing a story to us because the story was actually the song “Waltzing Matilda.” Thank you to all the parents that made it. It was so much fun that we would like to continue having parents in from time to time. Please keep coming in to share a story, song or any chosen activity with us. In the coming week we start with a hula hoop inter house challenge. All children are expected to come dressed in their house t-shirts. We will also design maps, set up a treasure hunt and use our knowledge of coordinates to find the buried treasure. I wish you all a pleasant weekend and look forward to another fun filled week. 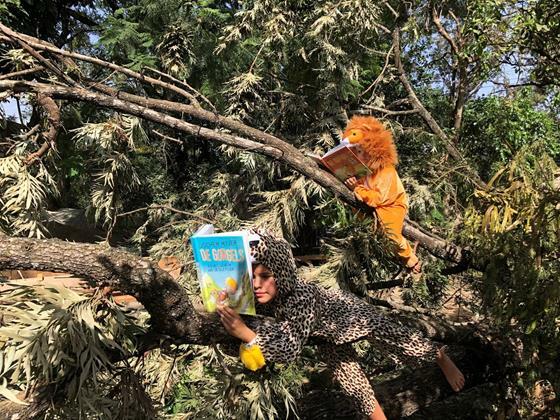 We had such a wonderful and wild time with Book Week. 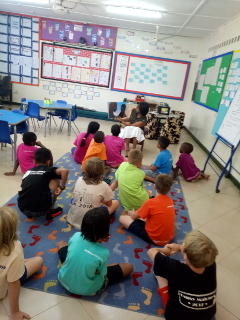 The class showed off their talents by reading to the younger classes, and they showed off their active listening skills while being an awesome audience to a variety of guest readers. From French to funny, the books read this week were enjoyed by all. Our class chose two books as their favorites for the Kilimanjaro Award. Ask them to tell you about these books, and you will understand why they were chosen. The permission slip, information letter, and packing list for our trip to Kawaha Shamba went home this week. Please fill them out completely and send the form in next week. Please keep the packing list at home to help you prepare. The class is excited for this fun upcoming adventure. Please let me know if any questions or concerns come up regarding the overnight trip. We had a wonderful book week in P6. Many thanks to all of our mystery readers who gave up their time to share literature with the class – Mr. Hemmens, Tyler (D2), Mr. Melhado, Mr. Marsh, Ms. Seema, Ms. Agnes, Mr. Evans and Ms. Anna. The children also read to P2/3 and enjoyed an interesting presentation with Mr. Morley in which he explained the process by which he got his picture books published. The P6 students submitted photos for the Get Caught Reading competition and stories for the story writing competition. Thank you for your support with the story writing – we hope to publish these stories in class at a later date. PE was great this week as the children have all started learning a new sport: lacrosse. The children have each identified a body system to research next week. They will then use the information to make a Prezi to share with the class and will also make a model to illustrate their chosen body systems. In maths we will continue our work plotting co-ordinates in 4 quadrants. On Monday there will be a hula hoop house competition. The children should wear their house shirts and appropriate footwear.